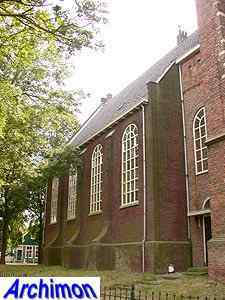 The church of Ransdorp has had a long but largely unknown history. In 1422 the church burned down, after having been hit by lightning. About that church little is known, except that it had no tower. 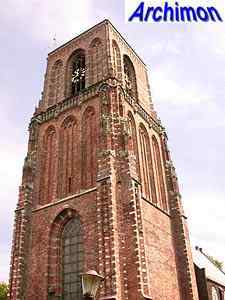 The church that replaced it was demolished in 1615. 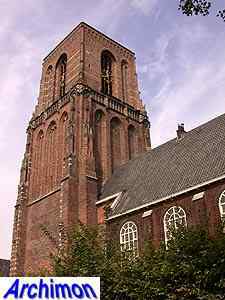 Of this church the tower survived, which had been built after a design by Jan Poyt, who had also built the tower of the church of Loenen aan de Vecht (U). 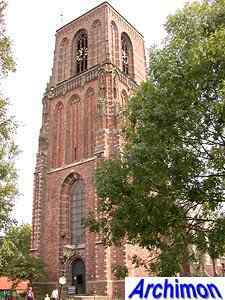 Although the church wasn't completed it is a good example of a tower in Utrecht Gothic style. 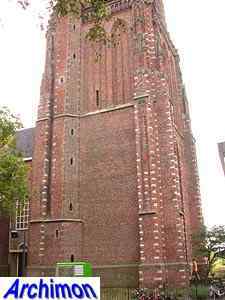 The tower was restored in 1936-1938, after having been in a very bad state for a long time. 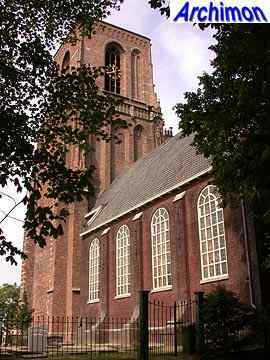 After the church had been domolished in 1615 a new one was built in 1616. 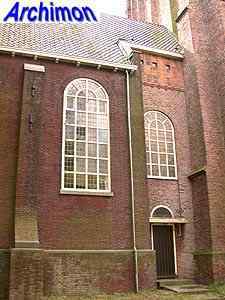 This church was also demolished in 1718. 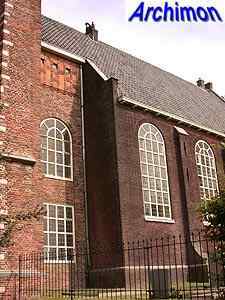 All services were held in the town hall, until the new church was completed in 1720, a building in Classical style. 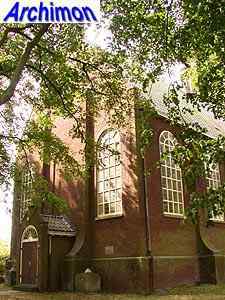 The current church is a reconstruction of the church of 1720, which had to be demolished in the 1930's due to bad maintenance. 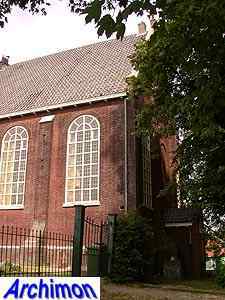 In 2003 the church was bought by the Amsterdam municipality for social-cultural activities.